The described site is of utmost importance. It includes a great variety of very important habitats that host a great number of species of flora and fauna, a large proportion of which are endemics or even stenoendemics, restricted to the site. 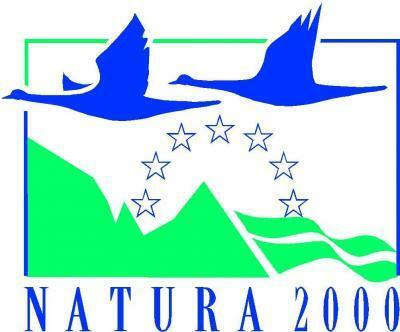 Most characteristic and indicative of the site's quality is the gorge of Samaria, that, in addition to being a Special Protection Area (SPA) for birds, it has been declared National Park since 1962, has been designated as a Biosphere reserve, and has also been awarded the European Diploma of the Council of Europe; besides, it is protected by the Barcelona Convention. An essential element of the site's importance, coupling its potential for bioversity, is that it is a vast area with low human impact and it includes many important biotic and non-biotic natural elements, whose true value we are not yet fully aware of. The great morhpological complexity combined with the above give a high aesthetic result. The need of a global management plan is urgent if the site's invaluable elements are to be preserved. A more analytical description and demonstration of the importance of the the fauna and flora, proving the site's value for biodiversity, is given below: 1) Fauna: All the molluscs included in section 3.3., except Helix cincta, Monaca rothi and Vitrea clessini, are endemic to Crete. The invertebrates Duvalius sbordonii, Niphargobates lefkodemonaki, Serradium sbordonii, Lephtyphanthes lindbergi, and Trichoniscus lindbergi are only found in caves and they are endemics to Crete, the first two being endemics to one single cave each. Regarding the mammals, the site shelters some Annex II species and some other important and protected species. Rhinolophus ferrumequinum ssp. creticum, included in section 3.2.c. as Rhinolophus ferrum-equinum, is a subspecies endemic to Crete. Capra aegagrus cretica (included in section 3.2.c. as C. aegagrus), is also an endemic subspecies. It must be noted that according to Bate (1905), all Cretan mammals are either endemic species or subspecies, but these data are under question. The species Glis glis, Felis sylvestris, and Eptesius serotinus are protected by the Convention on International Trade in Endangered Species of the Wild Flora and Fauna. Finally, the fauna also includes amphibians and reptiles protected by the Bern Convention. The mammal Crocidura zimmermani and the reptile Podarcis erhardi leukaorii are Cretan endemics.2) Flora: Of the species included in section 3.3 (other important species) many are endemic, some of them endemic to the site or to the Cretan area. Besides the Annex II species, the presence of Ranunculus radinotrichus, should also be noted since is an endangered species to be included in the National Red Data Book (currently under edition). Finally, concerning vegetation, the importance of the kermes oak formations should be noted as the site is one of the three locations in Crete with extended arborescent kermes oak communities and as a biotope sustaining a specialized invertebrate fauna, not yet sufficiently known.NOTES: In section 3.2.c., Capra aegagrus stands for Capra aegagrus cretica.OTHER IMPORTANT SPECIES WITH MOTIVATION D.Plants:The endemic species Alyssum fragillimum, Alyssum sphacioticum, Anchusa cespitosa, Anthemis abrotanifolia, Arenaria fragilimma, Asplenium creticum, Biarum davisii ssp. davisii, Bolanthus creutzburgi, Campanula jaquinii, Centaurea baldacii, Centaurea lancifolia, Centaurea redempta, Cirsium morinifolium, Clematis elisabethae-carolae, Crepis auriculifolia, Crepis sibthorpiana, Corydalis rutifolia ssp. uniflora, Cuscuta atrans, Cynoglossum sphakioticum, Eryngium ternatum, Euphorbia-sultan-hasei, Ferulago thyrsiflora, Helichrysum heldreichi, Hypochoeris tenuiflora, Onobrychis sphaciotica, Ononis verae, Petrorhagia dianthoides, Prunella cretensis, Sanguisorba cretica, Satureja cretica, Scabiosa albocincta, Senecio fruticulosus, Sesleria doerfleri, Silene pinetorum, Teucrium cuneifolium, Thlaspi zaffrani, Viola cretica, are protected by the Presidential Decree 67/81 and are included in the IUCN Red Data List in the category of threatened plants at the level of Greece. C. lancifolia is a vulnerable species also protected by the Bern Convention and included in Annex IV of the Directive 92/43/EEC.The endemic species: Viola fragans, Centranthus sieberi, Scilla nana and Asperula idaea are protected by the Presidential Decree 67/81. Colchicum macrophyllum, Tulipa saxatilis, are protected by the Presidential Decree 67/81. Lamyropsis cynaroides (rare) is included in the IUCN Red Data List in the category of threatened plants at the level of Greece. Cotoneaster nummularia (vulnerable), Datisca cannabina (vulnerable), Ranunculus creticus (rare), Paracaryum lithospermifolium ssp. cariense (rare) are protected by the Presidential Decree 67/81 and are included in the IUCN Red Data List in the category of threatened plants at the level of Greece.The following Mediterranean species have been considered important:Allium callimischon ssp. haemostictum occurs in only in Crete and SW Turkey; Arum creticum and Satureja spinosa are species occurring in Crete, the East Aegean and SW Turkey; Festuca polita occurs in Greece and SW Turkey; Brassica cretica ssp. cretica is a chasmophyte with distribution in Peloponnisos and Crete and only in Lebanon out of Greece; Viola rauliniana W & C Crete and in Cyprus; Lithodora hispidula ssp. hispidula is endemic to East Aegean Islands, Crete and W Turkey. Myosotis refracta ssp. paucipilosa is a species scattered in Greece (Lefka Ori, Nafpaktos, Boumistos, Samos) and S Anatolia. Thymus leucotrichus is a species of the mountains of Greece and Anatolia.Amelanchier ovalis ssp. cretica occurs only in Sicily out of Greece; Campanula trichocalycina (=Asyneuma trichocalycinum) is a rather rare plant with scattered localities in Greece (distribution Balkan peninsula, Sicily, Italy). Lamium garganicum ssp. striatum is a balkan endemic. Valantia aprica is a balkan endemic (Greece, Albania).Animals: The species Mustela nivalis, Erinaceus concolor nesiotes, Crocidura suaveolens, Suncus etruscus, Coluber gemonensis, Cyrtodactylus kotschyi bartoni, Hemidactylus turcicus are protected by the Presidential Decree 67/81. The species Glis glis is included in the Directive 92/43/EEC as species of community interest. The species Felis sylvestris, Eptesius serotinus, Hyla arborea cretensis, Bufo viridis, Chalcides occelatus, Lacerta trilineata, Podarcis erhardii are protected by the Presidential Decree 67/81 and are included in the Directive 92/43/EEC as species of community interest. The invertebrate Helix cincta is a relist element of the Cretan fauna with very restricted, vulnerable populations. Its presence is very important both for zoogeographical research and as an element of biodiversity. The site has a very variable geomorphological profile. There are 50 summits over 2000 m It is characterized by a number of gorges (approximately 20) of which the gorge of Samaria is the most characteristic. There is also a great number of ravines, caves, dolines, potholes, poljes, and plateaus forming a sequence of different habitats from 0 m to 2453 m.The dolines are of special interest; the wet dolines are characterized by scanty vegetation of annuals common in other places but rare in Crete while the dry dolines are characterized by dense vegetation and, in Lefka Ori, by the occurence of Hypericum kelleri, specialized in this type of habitat and endemic to the Cretan mountains. The largest cypress forest in Crete (and one of the last remaining) as well as extended pine forests are found at the borders of the site. A small percentage of the area is covered by tall kermes oak formations. The coastal part is characterized by calcareous escrapments. The tallest ones (200 to 500 m), termed as plurizonal megacliffs, have several climatic and vegetation belts. The mosaic vegetation is intensified by the existence of karstic ravines that support a luxuriant and frutescent cliff vegetation (karst rockbush). Samaria ravine is the largest coastal ravine of the Balkans with a depth of more than 500 m. The marine part, is characterized by Posidonia beds, reefs and sea caves. Very few local communities, mostly coastal, and a very sparce network of secondary roads at the margins of the site are the only visible signs of human presence at the area. As a general remark we must stress the fact that the available Annex I habitat types are insufficient and/or inadequate for the proper description of the site. 6) Pendarakis C.E. 1994. Structure and dynamics of Pinus brutia var. brutia (Ten.) stands naturally established on abandoned fields, at Anopolis plateau, Southern Crete. Thesis. International Centre for Advanced Mediterranean Studies. Mediterranan Agronomic Institute of Chania, Crete, Greece. 16) Egli B.R. 1991. The special flora, ecological and edaphic conditions of dolines in the mountains of Crete. Bot. Chron. 10:325-335. 22) Catsadorakis G. 1991. On the avifauna of Samaria gorgre (Crete, Greece). Kartierung mediterr. Brutvogel 6: 3-12. (3.2. a, b). 23) Economidou E. 1988. 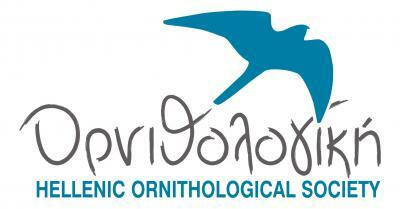 Inventory and study of the wetlands and other important bird biotopes in Crete. Final report, Vol. I. University of Patras. Ministry of Environment, Physical Planning and Public Works. Partas. (3.2. a, b). 24) Grimmet R.F.A. & T.A. Jones. 1989. The Important Bird Areas in Europe. ICBP Technical Publication No. 9, p. 906. (3.2. a). 25) [CORINE BIOTOPES] (3.2. a, b). 26) Developmental Union East Selinountas, Speceial Environmental Study of SW Lefka Ori and study for the protection of Capra aegagrus (not yet approved).